Former Ivory Coast first lady Simone Gbagbo, who had been serving a 20-year jail term, was released on Wednesday, two days after being amnestied by President Alassane Ouattara, her lawyer said. Gbagbo left the gendarmerie academy in Abidjan where she had been held for seven years, said attorney Blede Dohore. 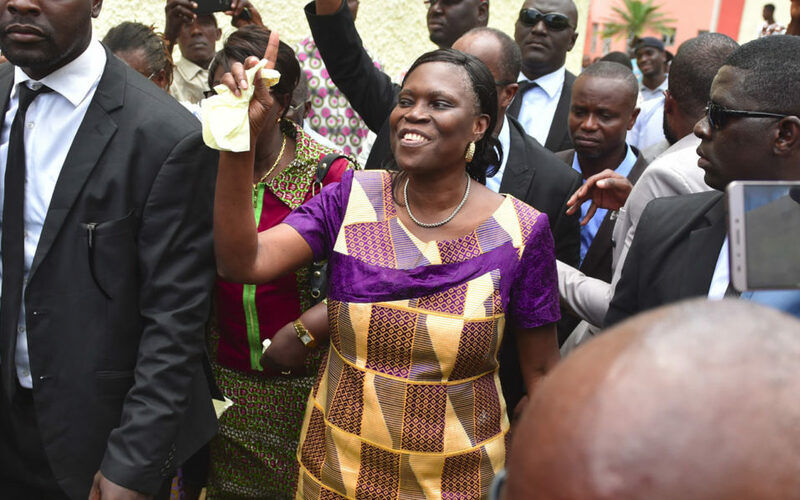 She was expected to head to her home in the upmarket district of Cocody, where around a thousand supporters were preparing to welcome her. Gbagbo, 69, the wife of former president Laurent Gbagbo, has spent seven years behind bars for her role in political violence that claimed several thousand lives in 2010-11. She had been implicated in the 2011 shelling of a market in an Abidjan district that supported Ouattara and for belonging to a “crisis cell” that allegedly coordinated attacks by the armed forces and militias in support of her husband. She was first detained without trial after her arrest in 2011 and later convicted and sentenced in 2015 on a charge of endangering state security. He has been on trial since 2016 for alleged crimes against humanity. On Monday — the eve of the Ivory Coast’s independence day — Ouattara announced an amnesty for Gbagbo and around 800 others in the name of national reconciliation. About 3,000 people died in post-election violence in the country’s commercial capital, Abidjan, when Laurent Gbagbo refused to accept defeat to Ouattara, his bitter rival, in a presidential ballot in November 2010. Ouattara has been under pressure to foster reconciliation. The legacy of the 2010-11 conflict is still felt deeply today, especially in politics. On Tuesday, 11 rights groups, including Human Rights Watch and Amnesty International, lashed the mass release. “There should be no amnesty for those responsible for war crimes, crimes against humanity and other serious human rights violations,” they said. Among others granted amnesties were former defence minister Lida Kouassi — a key Gbagbo ally — who was sentenced this year to 15 years for conspiracy, and former construction minister Assoa Adou, jailed in 2017 for four years. Around 500 of those named have already been released provisionally from detention, the president said. They will have their criminal records erased. In February 2012, the ICC also issued a warrant for Simone Gbagbo’s arrest. Ouattara on Monday also announced a reform of the Independent Electoral Commission, a panel which has been accused of bias and inequality.